Before Jeff and Matt Petry decided to give the game of hockey a try, this time of the year meant spring training and the start of the baseball season was just around the corner. You see, their father Dan spent 13 years fooling hitters in Major League Baseball as a starting pitcher. He won 125 career games, highlighted by an 18-8 record as the No. 2 starter behind Jack Morris on the 1984 Detroit Tigers in their dominant run to a World Series championship. 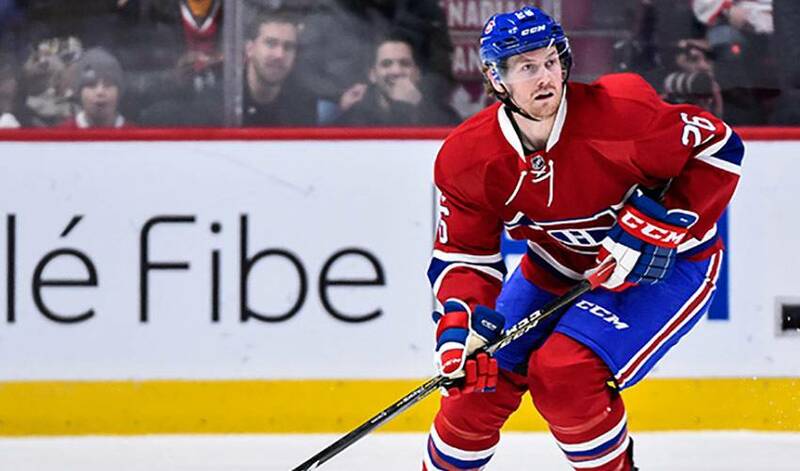 Now that Jeff has developed into a dependable defenceman with the Montreal Canadiens, baseball shares the sporting attention with hockey in the Petry family. In fact, now whenever Dan has the free time, he makes a few pilgrimages a season to Montreal to watch his son. He also drives to places like Pittsburgh, Toronto, Columbus, Chicago and Nashville - cities not far from the Petry home in Farmington Hills, Michigan, to take the Canadiens in live. “I think I have turned him into a hockey fan,” Jeff said with a smile. Jeff and his older brother Matt followed their father’s footsteps to the baseball diamond, but they also developed a fondness for hockey. Matt was a left-handed pitcher with Brother Rice High School in nearby Birmingham and helped his school to the 2003 Division I state final. He also played centre on the varsity hockey team, but he went on to pitch at University of Michigan. Jeff was a first baseman who also pitched at St. Mary’s Preparatory in Orchard Lake Village and starred on the school hockey team. But even though he helped St. Mary’s win the 2003 Division II state baseball title and 2005 Division III state hockey crown, he decided to drop baseball to be a hockey player full time after his junior year of high school. “I love playing hockey,” said the 29-year-old Petry, who has represented the United States at the 2012, 2013 and 2014 World championship, winning a bronze medal in 2013. He also enjoyed watching his childhood idol Nicklas Lidstrom perform for the nearby Detroit Red Wings. Dan retired after 11 years with the Tigers, another with the California Angels and a final summer split between the Atlanta Braves and Boston Red Sox. Jeff was four years old when his Dad decided to stop pitching. But because his ties to the Tigers remained strong in his retirement, there were memorable moments for the Petry boys to have the run of Tiger Stadium. As a result, Jeff was nervous telling his father that he enjoyed hockey more. But his mother Christine softened the blow by tipping off Dan that their youngest son preferred hockey. Dan fully supported Jeff’s decision. Before he attended Michigan State University, Jeff spent two seasons of junior with the Des Moines Buccaneers of the USHL and won the 2005-06 championship. It was there the Edmonton Oilers discovered Petry and drafted him in the second round (45th overall) in the 2006 NHL Entry Draft. Edmonton traded Petry to the Canadiens two years ago, and now with Montreal headed to the playoffs, springtime divides the Petry family’s attention. Matt is the head coach of St. Mary’s varsity baseball team nowadays and is assisted by his father. “This time of the year baseball is something to get excited about, the start of the season,” the 6-foot-3, 204-pound Jeff Petry said. “It’s something to follow when you go home and you want to get away from the rink.